The rumors are true. I’m ecstatic to confirm that The Legend of Zelda: Twilight Princess HD has been announced for Nintendo Wii U. Recently been seen as more of a marmite choice in the series, I am on the positive side and even consider it to be not only my favorite Zelda but one of my favorite video games of all time. This was my first 3D Zelda which contributes to it having a special place in my heart. Considering this nearly ten years on the question begs, What improvements can be made? Some fans believe the game should be preserved in its original glory, but really that would be pointless. 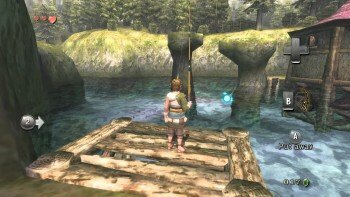 So here I am going to pick five improvements that would bring Twilight Princess into the current generation and transform it from the “marmite” one into the great adventure we all want it to be. One thing I learned from revisiting this gem is that the graphics have not held up as well as I originally thought. 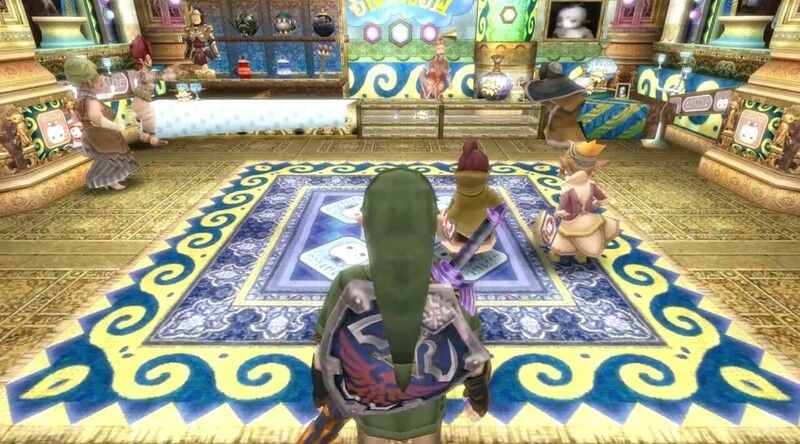 I still remember powering up my Wii on Christmas 2006 and being wowed by how lifelike Hyrule Field looked. Ten years on it doesn’t have the same impact. I will always have those unforgettable memories but by giving the visuals a new lick of paint I could relive this momentous moment only this time in dazzling 1080p. Following on from the direct i’m not going to lie the visuals were a little disappointing however there is signs that this could be stunning so hopefully by the time March rolls around we’ll have the perfect slick imagery. One common aspect that keeps getting thrown at Twilight Princess is the length of the opening tutorial. Some hate it with a passion due to it limiting the player with what they can do for a good chunk of time. Others enjoy going about Link’s daily routine. Basically enjoying the calm before the storm. Whatever your opinion because this was such a defining factor and put off many players, it would be better if you could choose whether or not to skip the opening. Yes leave the core bits but monotonous tasks like chasing a cat can be left out. Another thing that most agree on that goes from a little niggle to a big annoyance is messages that continuously and unnecessarily repeat. The first time you find a rupee (no matter what the value) a message appears onscreen declaring this. 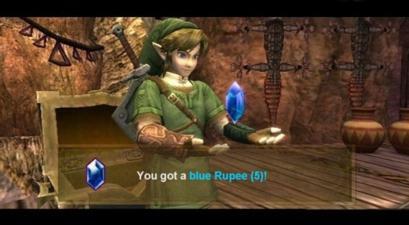 An example of the text is “You got an orange Rupee”. Nothing wrong with this, it introduces the player to the currency of this world. What you don’t want is to be told that every time you boot up the game. It may only seem a small grievance but trust me after ten hours of play time it grates heavily. A feature of Twilight Princess I absolutely love is the scale of bosses. They are gigantic, yet for their size if you know what your doing they fall like dominoes. Some may be a bit awkward but all in all they don’t put up that much of a fight. So this time round I want these brutes given more of a bite than their bark, not the other way round. Really make these monsters pose a threat. An easy solution for this is to add a “Hero Mode” like Wind Waker HD received. Hyrule seemed a marvel at the time with its city centre bustling with townspeople, however for all the shops that surrounded, very little were actually accessible. Marlo Mart was a great start but only wet our appetite for more. This felt like a missed opportunity, one that can be easily fixed. 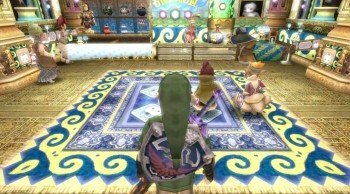 Add a clothes shop where you can customize Link, possibly even giving him outfits from other iterations. Install a mask shop in tribute to Majora’s Mask. Anything to make this town seem more alive. There is so much potential here so Nintendo please take full advantage. Apart from these minute issues, I adore Twilight Princess dearly and i’m thrilled to see a HD remake. 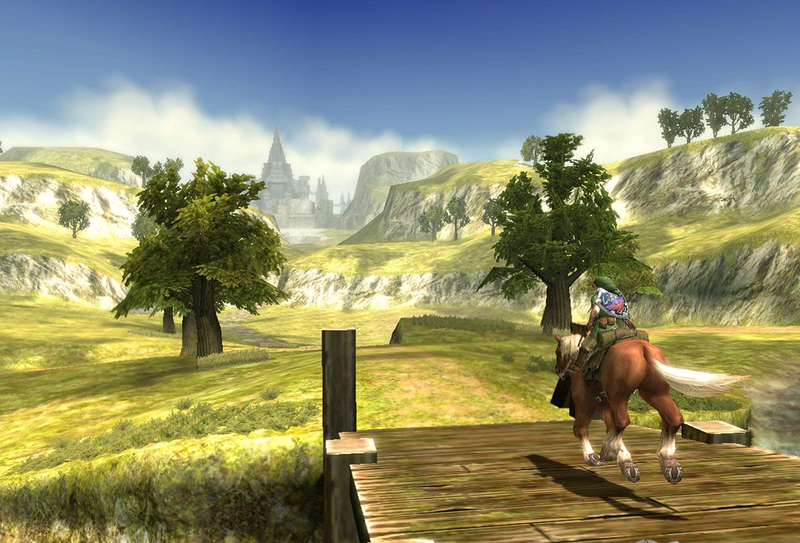 Twilight Princess is due for release on March 4th 2016 for Nintendo Wii U. What’s your view on this hit or miss entry? What improvements would you make? Leave us a comment below to tell us why.